Alternative National Park Twitter Accounts Appear As EPA Media Blackout Continues : All Tech Considered Countering the Trump administration's restrictions on public communications, unofficial Twitter accounts for the National Park Service have been tweeting facts about climate change. The official Twitter account of Badlands National Park in South Dakota was the first to tweet climate change facts in defiance of the gag order placed on the Environmental Protection Agency. If Twitter accounts fall silent in the woods, can they still make a sound? Turns out, yes — lots. Tuesday afternoon, a new Twitter account called "AltUSNatParkService" appeared and began tweeting out facts about climate change, support for the National Parks and comments in opposition of President Trump, who has called climate change a hoax created by China. Can't wait for President Trump to call us FAKE NEWS. You can take our official twitter, but you'll never take our free time! All this came in response to the news of new orders to limit outward contact with the public, including bans on social media postings, at the Environmental Protection Agency, the Department of Agriculture, the Department of Health and Human Services and the Interior Department, which oversees the National Park Service. The EPA was ordered to enact a temporary media blackout as the Trump administration transitions its team into the agency roles. 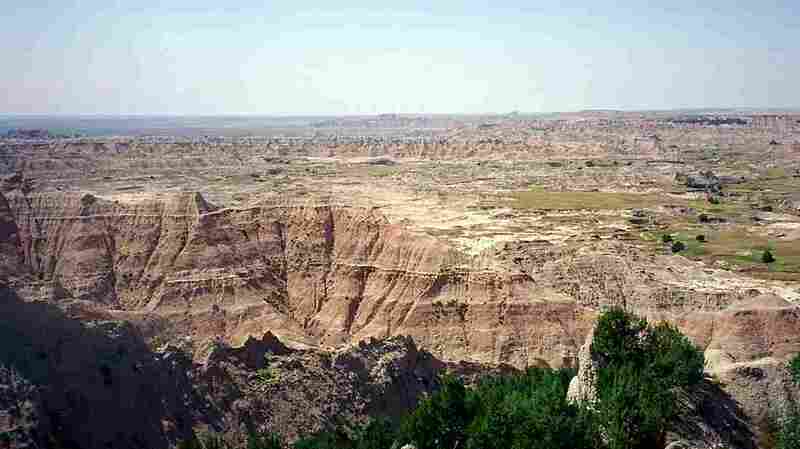 The rogue tweeting started at the Badlands National Park in South Dakota, as the park's verified Twitter account tweeted in defiance with facts about climate change, such as: "Today, the amount of carbon dioxide in the atmosphere is higher than at any time in the last 650,000 years. #climate." "The park was not told to remove the tweets but chose to do so when they realized their account had been compromised. At this time, National Park Service social media managers are encouraged to continue the use of Twitter to post information relating to public safety and park information, with the exception of content related to national policy issues." In true Twitter fashion, the removal of climate change tweets from the official account gave rise to a wave of rogue accounts, including "BadlandsNPSFans" and "BadHombreLands NPS" — the latter referring to Trump's "bad hombres" comment during a presidential debate. Both accounts post about science and climate change, as well as in opposition of Trump's policy proposals, with BadlandsNPSFans directly skewering Trump and his team. In both cases, it is unclear who is running these accounts. The AltUSNatParkService account, for its part, grabbed the spotlight on Wednesday, racking up some 600,000 followers in the span of 24 hours. The account claims to be run by current park rangers, which NPR could not confirm. The location of this group is also unclear as they made references to Mount Rainier in Washington as well as the local Washington, D.C., time. Hi @JettGoldsmith This accnt being run by several active NPS rangers and friends. NPR reached out to the self-proclaimed "unofficial resistance team" for a comment, but did not hear back. The official National Park Service communications office also did not respond to requests for further comment. The official NPS Twitter account found itself in hot water last week, too, when it was asked to stop tweeting after sharing images comparing the crowd size of Trump's inauguration to that of former President Barack Obama in 2009.